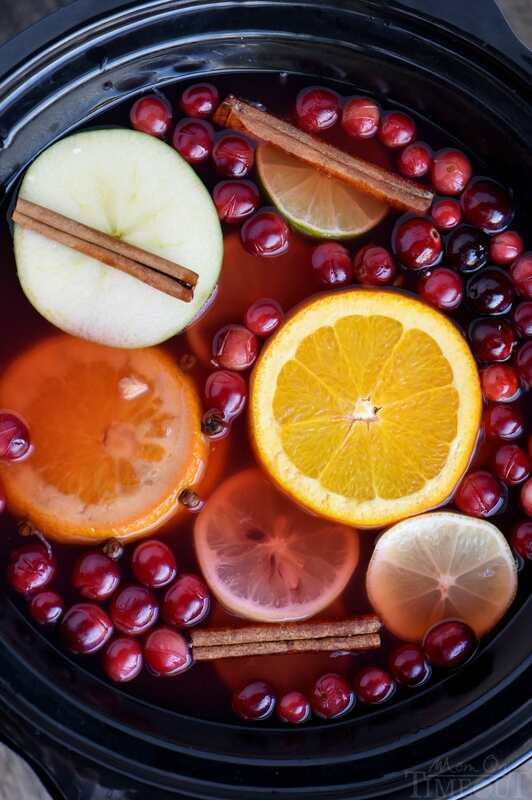 This Slow Cooker Spiced Cranberry Citrus Apple Cider is the beverage of choice this season! 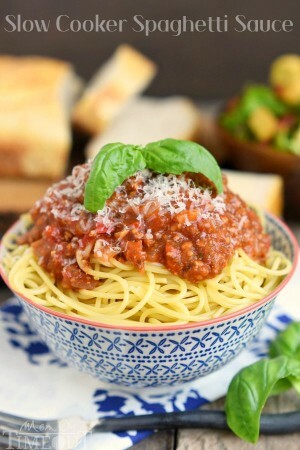 Fill your home with it’s delightful fragrance and your belly with it’s spicy warmth! Perfect for parties and the holidays! I’m sure you’ve all busted out your slow cookers by now…right? Shoot you guys, it’s fall! I had two slow cookers going today and my house smelled ah-mazing! We were having a little get together with some friends and I wanted to make one of our time-honored slow cooker beverages…but with a twist. 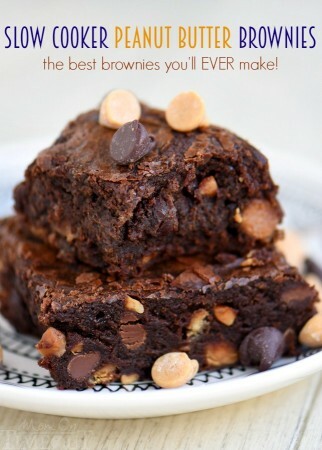 Wowza – did it turn out good! Starting in October each year, and stretching as far as we can into the spring (think March), we make this amazing cranberry apple cider that warms the home and our bellies and does amazing things for our appetites. It’s a super simple recipe: equal parts cranberry juice and apple cider (apple juice works just fine!) and then as many cinnamon sticks, cloves, and apple slices as we can fit in there. It’s a recipe for success 🙂 Today, I decided to put a citrus twist on this family classic with the addition of Lipton Green Tea Citrus Flavored Iced Tea. I always have this stuff on hand. It’s my go-to afternoon pick-me-up and I thought the flavors in this iced tea would go beautifully in the cider. Dang, am I good. You guys, hello easy and hello awesome. This cider is my new fall beverage of choice. I just loved the flavor that the iced tea added to this easy cider recipe. To amp up the the citrus flavor, I added sliced oranges, lemons, and limes to the slow cooker and let ‘er rip. Easy as can be and you don’t even need to invest a lot of money in candles…this cider will make your house smell fantastic! We will most definitely be making this cider again. It’s perfect for game days, Thanksgiving, Christmas, New Years and anytime I get to craving these easy recipe. Make it happen at your house too! I’m always on the lookout for new fall favorites and I know you are too! 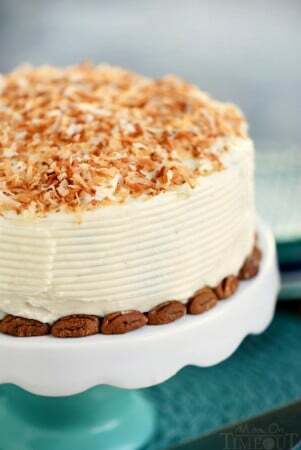 Check out all these fabulous recipes from some of your favorite Food Network stars! Lots of great ideas here! 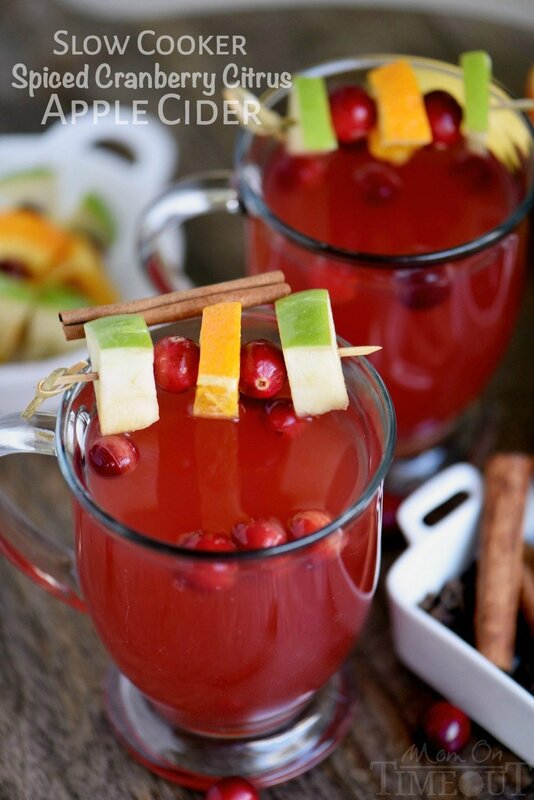 This Slow Cooker Spiced Cranberry Citrus Apple Cider is the beverage of choice this season! Fill your home with it's delightful fragrance and your belly with it's spicy warmth! Perfect for parties and the holidays! 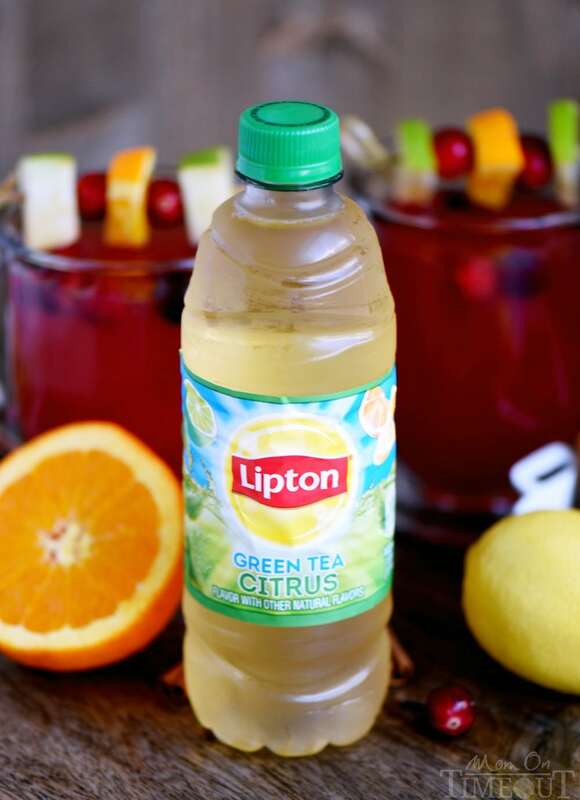 Combine the cranberry juice, apple cider, and Lipton Green Tea Citrus Flavored Iced Tea in a large slow cooker. Add as many slices of citrus fruit as you like, including the orange slice with the cloves in it. 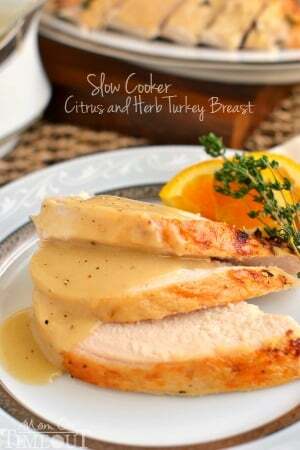 Set your slow cooker to low for 6 to 8 hours or high for 2 to 4 hours. Once desired temperature is reached, turn your slow cooker to warm. Serve with a fruit garnish or cinnamon stick. I never think to make drinks in my slow cooker but am saving this recipe as a reminder to me. I bet this would make my kitchen smell so good. Can’t wait to try! This cider is perfect for the season! Thanks for sharing! I love the idea of apple cider in a slow cooker. Yum! Oh man, I’m used to traditional cider and it’s already delicious at it is! Much less this gym of a recipe! What a gorgeous cider, that would be the focal point at any table! YUM! I’m loving the sound of this cider! 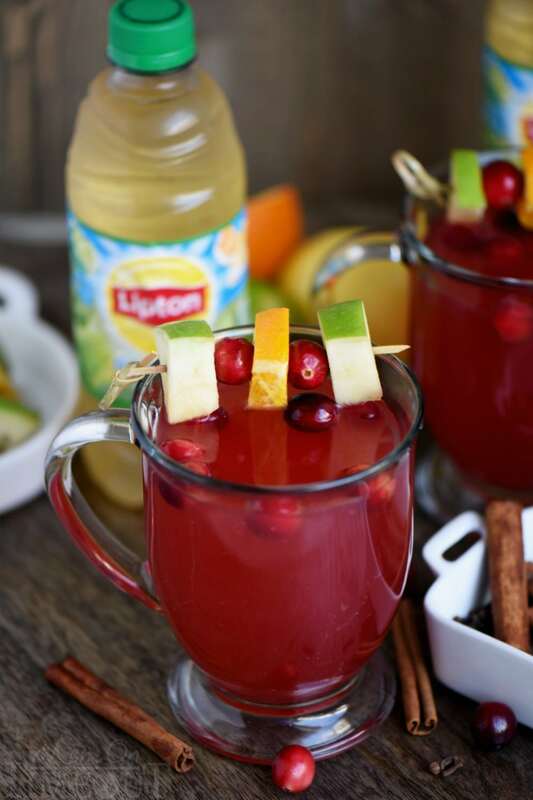 Cranberry, citrus and apple together are just amazing. My family is gonna adore this!